Northumberland National Park is home to some of the most pristine night skies in Europe. 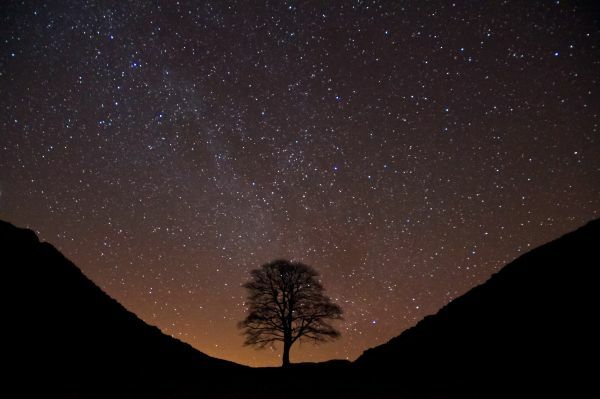 To celebrate International Dark Sky Week from 15-21 April, Northumberland National Park Authority is encouraging visitors to attend its public exhibition at The Sill National Landscape Discovery Centre on Hadrian’s Wall. ‘Northumberland’s Dark Sky’ exhibition is designed to engage and inspire with interpretive displays, video installations, real meteorites and hands-on activities that will tell visitors about Northumberland’s dark skies, how to experience them and how to protect them. The exhibition coincides with the launch of a public awareness campaign, led by Northumberland National Park Authority, which aims to promote dark sky preservation and minimise light pollution caused by the increasing use of LED lighting. Duncan Wise, visitor development and marketing manager at Northumberland National Park Authority, explains: “Our Dark Sky exhibition is designed to showcase all that is wonderful about our night skies and to raise public awareness and commitment to protecting them from the effects of light pollution. “The growing efficiency and affordability of LED lighting technology has led to a significant increase in the installation of flood lighting on the sides of houses, industrial and agricultural buildings across the Northumberland International Dark Sky Park. “Not only are LED floodlights more plentiful and cheap, but their installation can be detrimental to the quality of our dark skies due to intense white-blue light, which scatters farther, creating light pollution and glare. Northumberland is officially Europe’s largest area of protected night sky at 572 square miles making it the best place in England for people to enjoy the heavens. It was designated International Dark Sky Park status in December 2013. Duncan Wise adds: “Evidence shows that astro tourism is having a positive impact on the county’s visitor economy, especially in rural areas. As a lead member of The Dark Sky Steering Group in Northumberland we are committed to working with our partners, local communities and business owners to promote astro tourism and preserve our International Dark Sky Park status. “We want to work with property developers and local residents to understand more easily how to minimise light pollution through the correct choice and installation of fully-shielded outside lighting. Northumberland National Park’s Dark Sky exhibition at The Sill is on now until the end of April. It is aimed at families with young children and people with an interest in astronomy. Visitors can get ‘hands-on’ with the interactive displays and exhibits, including detecting meteors using radio astronomy, as well as learning about the different constellations and how to protect the county’s dark skies for future generations to enjoy. There is also lots of information available on local attractions and businesses which offer dark sky experiences, including The Sill’s own activity programme of events. Named after the nearby Great Whin Sill; The Sill National Landscape Discovery Centre is a £14.8 million state-of-the-art visitor centre at Once Brewed on Hadrian’s Wall. It is the result of an innovative partnership between Northumberland National Park Authority and YHA (England & Wales) with funding from the Heritage Lottery Fund (HLF) through a £7.8 million grant made possible by National Lottery players. The Sill provides a perfect location for people of all ages to explore and enjoy some of the region’s most spectacular unspoilt landscapes, steeped in history and heritage. It features fixed and temporary exhibitions, learning and event spaces, a 90-seater café, YHA accommodation, a gift shop packed with locally-sourced gifts and produce as well as a world-first, fully accessible Whin Sill Grassland roof. The Sill is open daily between 10.00am and 4.00pm, for more information go to www.thesill.org.uk.